This is has been one of the most requested features since the beginning of the project and it’s finally a thing! Because fonts are so complicated (the biggest reason why this release took so long), fonts are not totally complete yet, and so this will be the start of a longer project. For the techier people out there, I need your help to help me make sure these fonts are as compatible as smooth as possible on as many devices as possible! Google/Android (CBDT/CBLC) format will be available in the future. You can find these fonts from the all-new All Downloads page. 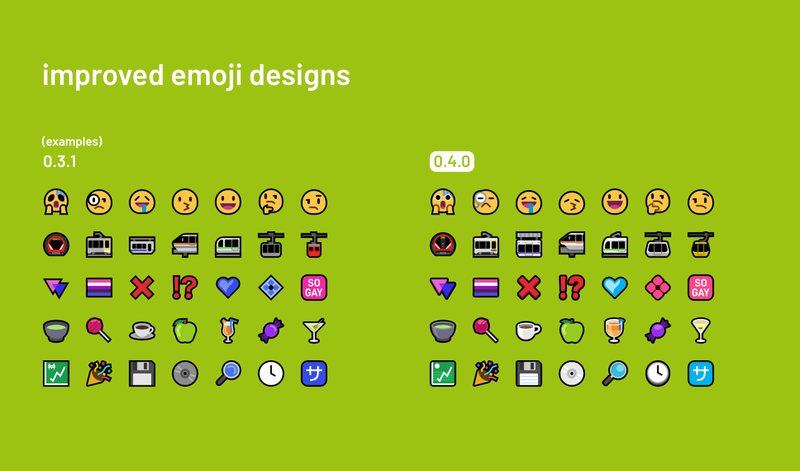 0.4.0 brings a fresh new look to many emoji. Hundreds of Mutant Standard’s existing emoji have been lightly edited – rounder and softer shapes, more depth and brighter colours. 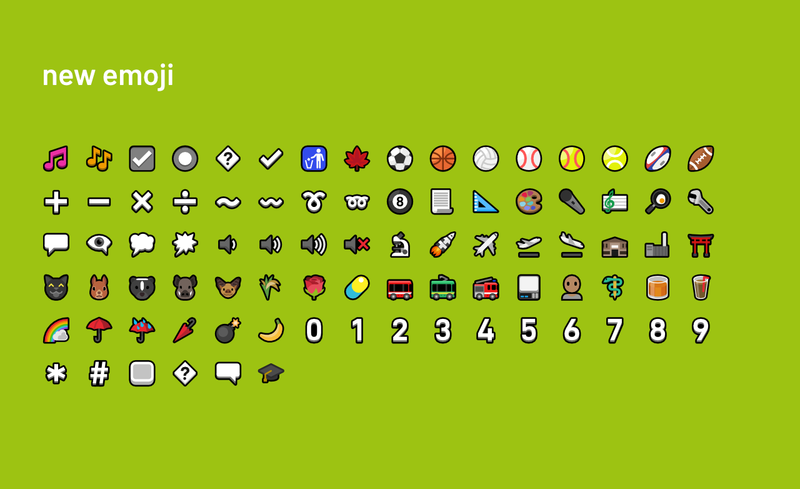 Mutant Standard now offers English text descriptions for all of it’s emoji for the visually impaired. Developers can tap into these to serve people who use screen readers. Text descriptions will be offered for all emoji for every future release from now on. You can find the data (‘JSON Metadata’) on the new All Downloads page. Thanks to some new bits of technology in my emoji process, SVGs are now ~35% smaller, and PNGs are ~25% smaller than the previous Mutant Standard release. Mutant Standard is now also available in Lossless WebP format for 32px and 128px sizes, offering greatly reduced file sizes compared to PNG. 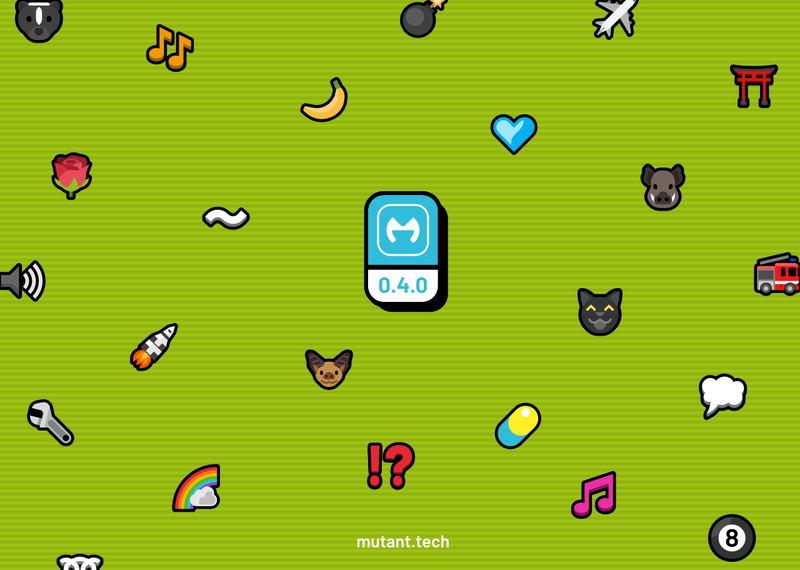 Mutant Standard 0.4.0 brings more than 80 new emoji! Thanks to the recent open sourcing of Mutant Standard’s build files, all of the tools for people to be able to translate Mutant Standard into other languages already exist, but the build repo now has documentation with instructions on how you would go about this. 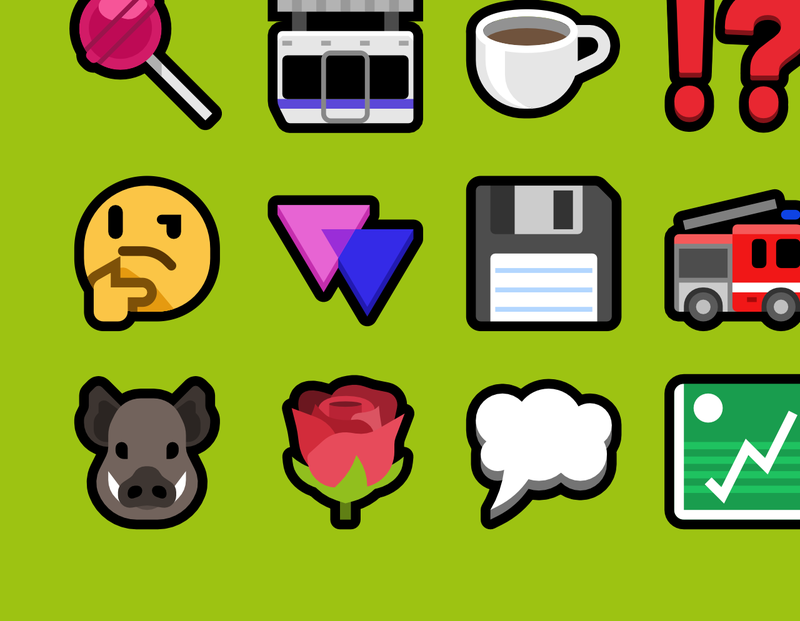 Between the new font compiler and the much-improved orxporter, Mutant Standard now provides a more complete open source solution to creating and publishing your own emoji sets. Mutant Standard’s fonts required custom software and like orxporter, it’s open source! It’s in beta, incomplete and not guaranteed to make completely working or compatible fonts yet. orxporter is much more efficient and has more features than before! New SVG renderer, optimised PNG metadata – in-house tests show 16x faster exporting speed. Exporting Mutant Standard’s 7000+ emoji repertoire now takes 14 minutes instead of more than 3 hours. Choice of SVG renderers – svgrender, inkscape and imagemagick. 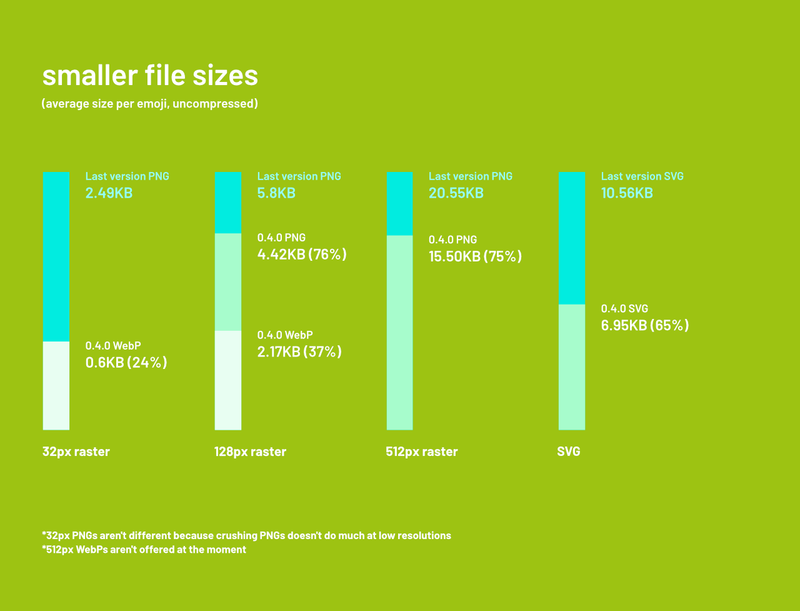 New raster format choices – FLIF and Lossless WebP. These are much more efficient than PNGs, but are more experimental and have limited support. guard and qr_code emoji have been removed.